The need to protect the environment through conservation of forests is more appreciated today than ever and so is the need to redress injustices caused by conservational policies and practices. The Ogiek of Eastern Mau Forest filed a civil application in 1997 against the then Kanu government, HCC/635/97. The case is due for hearing on 6th November 2012. Members of the community are asking for support in raising bus fares to Nairobi. One ticket to and from Nairobi costs KSh 1 200. They are also facing difficulties in raising the legal fees for the lawyer. Please contact us on afriperspectives@gmail.com to receive further details if you are willing to support. Donations can be collected via PayPal and/or transferred via mPesa and/or Western Union. 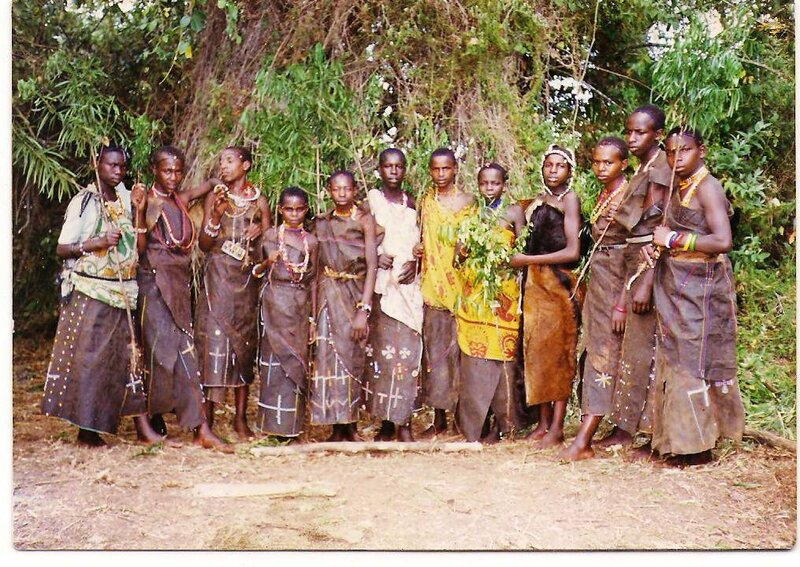 The Ogiek are an indigenous forest dwelling community. They number more than Thirty Thousand (30,000) with a strong population of 11,000 adults. Their home is the Mau Forest complex, a very vital ecosystem that supports lives of more than 10 Million Kenyans. The Mau forest complex is the largest indigenous forest left in Kenya -as big as forest of Mt. Kenya and Aberdares combined of the five major “water towers” and it’s the most important. Some 30 million people depend on water sources originating from Mau – in Kenya and beyond. Besides being the traditional home of the Ogiek people, it nurtures trees used by communities and the nation. It feeds 12 major rivers, which provides water for Millions of Kenyans, in both rural and urban areas. The river serves six major lakes, namely, Nakuru, Victoria, Baringo, Turkana,Naivasha and Natron Its destruction means that the ground water does not absorb nor filter water well, imperiling these rivers, lakes, the Maasai Mara reserve and even Serengeti. Its cooling action of millions of trees, carbon dioxide absorption helps to moderate effects of climate change it helps maintain the climate necessary for tea and other major crops. MFC supports key economic sectors in Rift Valley, Western and Nyanza provinces, particularly agriculture and tourism. The estimated potential Hydro-Power generation is over 500 Megawatts – more than 40% of the total electrical generating capacity of Kenya today. Despite the Ogiek community being recognized as an Indigenous minority forest community, neither they nor their representative institutions took steps to accept the challenges of the effects caused by forest degradation and destruction to their lives and property. Being passive in Rehabilitation and Restoration of their Mau Forest, though their only home, and in which for environmental reasons have managed to rally support from local to national and international groups, agencies and governments, tell a lot. The work to advance indigenous minority welfare that has defined their history in more agent than ever for minorities still struggle to find an opportunity to have their voices heard, to access justice and to be treated with dignity. It’s their time to participate meaningfully in dialogue and an influence process is at hand. Though presently faced within a myriad of challenges amid politically motivated threats and land pressures, they have come out strongly and dignified. The need to conserve the Mau forest by the concerned authorities has empowered and energized the Ogiek. Having been recognized and accepted as a minority forest dwelling and forest dependent community that traditionally resides in the Mau forest complex, they believe that proper protection of environment secures livelihoods and mitigates conflicts.